Fiat Ducato finds the AP900 / AP900C as the most popular cruise control for this vehicle, imparticular Motorhome variants. The AP900 / AP900C is also available for many other vehicles including Citroen, Ford, Peugeot been the most popular. We are able to retrofit this cruise control to your vehicle throughout Yorkshire as part of our mobile fitting service which predominately covers Leeds, Wakefield, Hull and York. 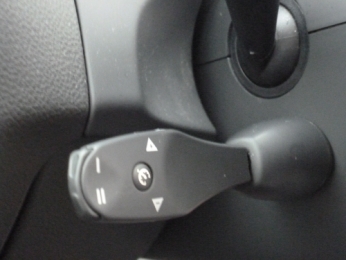 The Cruise Control once fitted to your Fiat Ducato uses the CM35 left hand stalk control which can be seen below. This stalk control fits perfectly in the recess just below the Fiat Ducato indicator stalk giving a seamless look and great ergonomic feel during use. It is then also visible through the steering wheel as seen below however for this particular install we used a slightly different Cruise Control at the customers request. 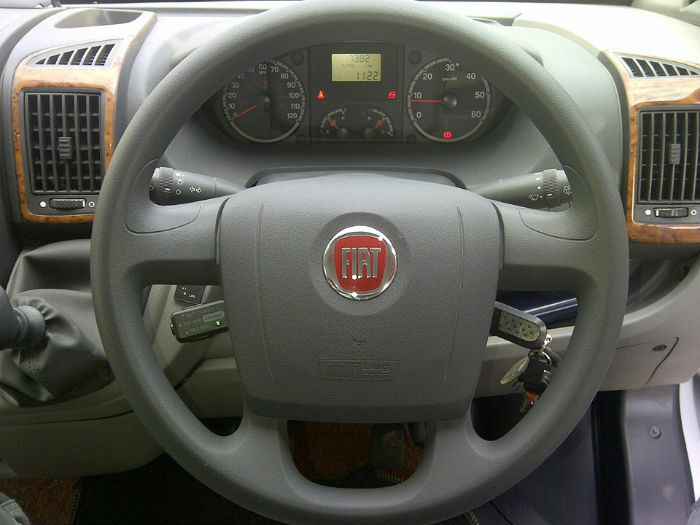 Please feel free to contact us for more information on the Fiat Ducato Cruise Control fitted where we will be more than happy to assist you. We offer a fully mobile and professional installation service of all our products throughout the Yorkshire area including: Leeds, Wakefield, Hull, Beverly, York, Huddersfield, Bradford, Brighouse, Halifax, Otley, Harrogate and many other areas.